ISLAMABAD: Two sisters of a Hindu family allegedly abducted and forcibly converted to Islam, on Thursday were allowed by the Chief Justice of Islamabad High Court Justice Athar Minallah to go and live with their husbands. 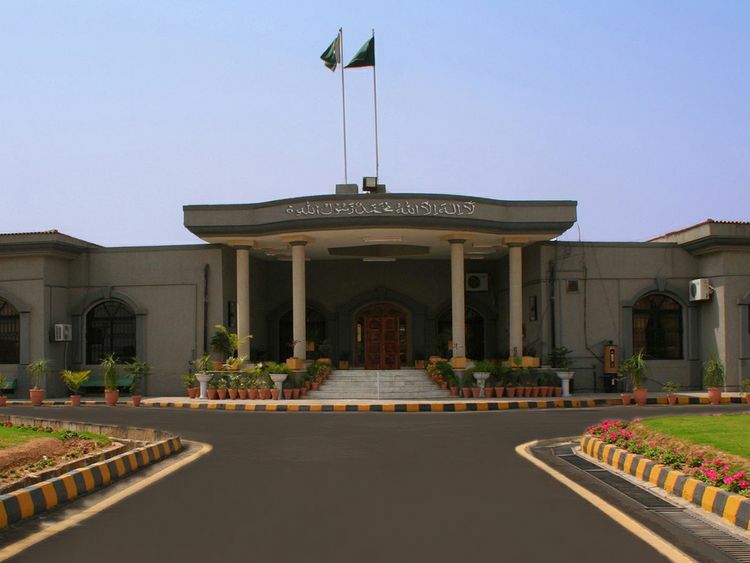 Justice Minallah announced the decision after a five-member commission submitted its report in the alleged abduction, forced conversion and marriage of Reena and Raveena, stating it was not a case of forced conversion and the girls from Ghotki (Sindh) had wilfully given up their religion and converted to Islam. The report also points out that both the girls are adult and thus had the legal right to choose their husbands. The girls were allegedly abducted last month from their native town Ghotki, Sindh on March 20 and taken to Rahim Yar Khan. The province’s Hindu community and civil society had raised concerns over the increasing number of the incidents of forced conversions. Taking notice of the media reports about the incident, Prime Minister Imran Khan had directed the Sindh and the Punjab governments to investigate the matter and recover the girls if the forceful conversion allegation was correct. Their brother Shaman Daas had also filed a petitioned in the Lahore High Court’s Bahawalpur bench for their recovery. Shaman Daas has also produced B-forms of the Ghotki girls to the court stating they were below the legal age of marriage Reena was 13 and Raveena was 15 years old. “If Nikkah is permissible at this age under the Pakistani law, my family will accept the Nikkah of the two girls,” Shaman had said. The B-form showed Raveena was born in 2004 and Reena in 2006. The girls later appeared in Islamabad High Court along with their husbands Safdar Ali and Barkat Ali and submitted they had accepted Islam and married according to their own will. The girls and their spouses had filed the petition seeking protection. In their plea, the girls maintained that they belonged to a Hindu family of Ghotki, Sindh but converted wilfully as they were impressed by Islamic teaching. On Thursday, however, the Interior Secretary submitted before the court that members of the commission, Federal Minister for Human Rights Shireen Mazari and Chairperson National Commission on the Status of Women (NCSW) Khawar Mumtaz held meeting with the girls and their spouses and interviewed them separately. “This is a sensitive matter and we probed it accordingly and as per our inquiry, girls accepted Islam on their own to marry their lovers,” he said while quoting the members of the inquiry commission. Meanwhile, Sindh government has also submitted findings of a commission headed by DIG Sukkur and the commission sought a report from DCO Rahim Yar Khan. During the hearing, Justice Minallah asked Advocate IA Rahman, another member of the commission, his opinion. He cited absence of law preventing forced conversions as the main cause of such incidents. The high court chief justice remarked we should have confidence in Parliament to legislate such matters. In light of the commission’s report, the bench allowed the girls to reunite with their husbands.